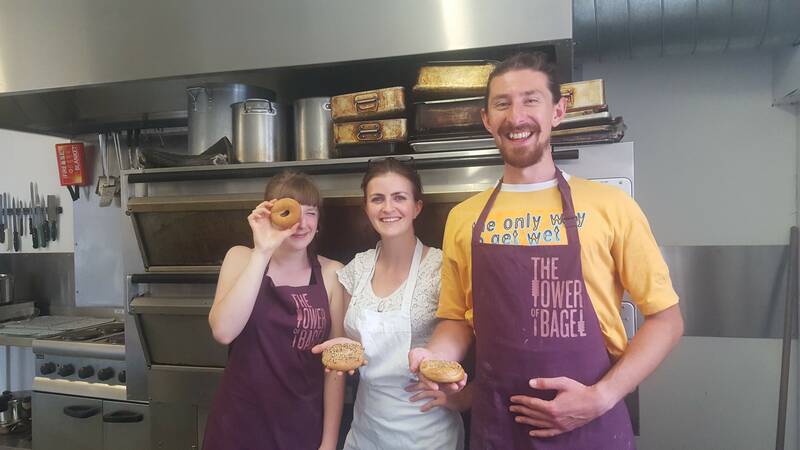 Tower of Bagel now has a wide range of baking school offers for novice or experienced bakers. 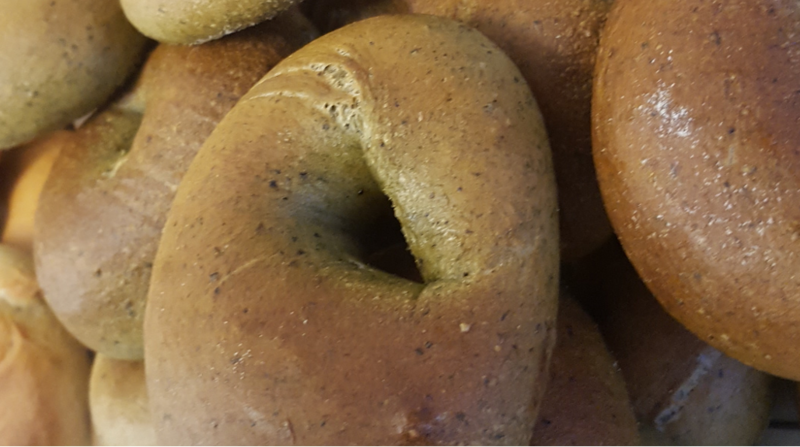 If you would like to work in a small group, get plenty of practice making and baking bagels, a great lunch and lots of individual help – as well as finding out about history of bagels – you maybe looking for an individual or a family booking for Sunday bagel school. If you want something extra special for a birthday or just a fun day out with friends for a group of between 6 to 10 people, why not book a group day out? 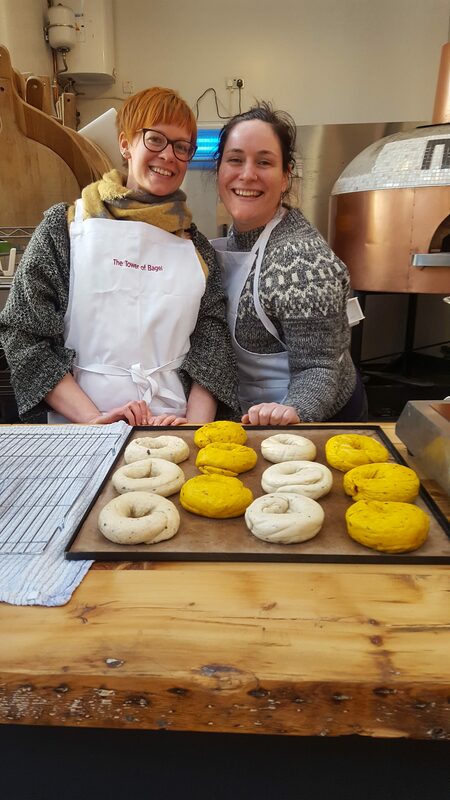 You get everything you would have at the Sunday bagel school day, plus a day tailored to what you want and a go using a wood fired oven as well as a bread oven. Or maybe you are looking for something different for your works days out – from just a fun relaxing time to de-stress your team to a challenging team-building day – we can tailor the day to suit you and the outcomes you are looking to achieve. Please get in touch. There has been considerable research on how people use baking to de-stress. 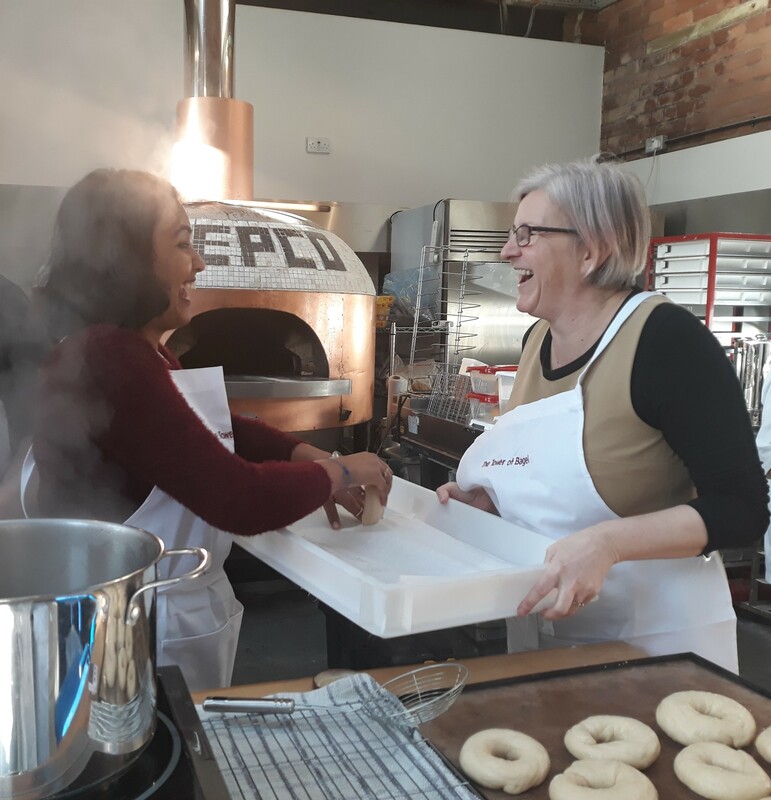 Whether it is pies, cakes or bread you are making the action of creating and using your hands can take you away from the stress and strain of daily life. Bread making has a special place here. The use of your hands to kneed and develop the bread creates a feeling of real connection between your self and what you have made: something akin to using clay . I am working with a number of different groups to see how we can gain funding to help people leave difficult lives behind them, even for a day. If you work for a social organisation, helping vulnerable adults or young adults, victims of abuse or of poverty, why not get in touch?